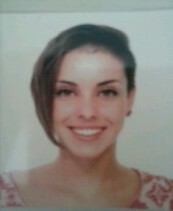 My name is Alicia Cervantes, I am twenty five years old and I was born in Madrid. I finished my undergraduate program in English Studies at Universidad Autonoma de Madrid last June. I like reading, spending time with my friends and family, I volunteer regularly in sports events and in the past, I worked as a volunteer with people with intellectual disabilities. I have always been interested in travelling, knowing other cultures and languages, and in how they have differences and similarities. The Erasmus exchange program gave me the opportunity of seeing them in Belgium, where I lived for a year. Right now I am in Hong Kong as a volunteer for the Talloires Network. Here I work in both the Office of Service-Learning at Lingnan University and the Crossroads Foundation. The Office of Service-Learning combines academic study with voluntary community service while Crossroads seeks to be an intersection to bring needs and resources together. In addition to my work in each of them, I will work as a link between both so they can help each other and the community. Both places have people from different cultures, nationalities and backgrounds working together which I find interesting and inspiring because we an have a better future if we all work together. My name is Marta Calderon Pereira, I was born on April 24 1990, in Madrid Spain. I am 23 years old, and I love sports, and enjoy reading, listening to music and spending time with family and friends. Since I was a little girl, I was always seeking to learn new cultures, traveling. I was always organizing different kinds of plans with my friends, visits, parties, reunions that would bring something new from the day-to-day occurrences. The sport of handball, which I have been playing for more than 10 years at a competitive level, has been critical in teaching me how to work in teams. Even though I had the opportunity of traveling, I have always lived in Madrid. I went to Nuestra Señora de Loreto for the required portion of my education and the Institute Isabel la Católica where I received my bachelor’s of Science with the aspiration of becoming a doctor. 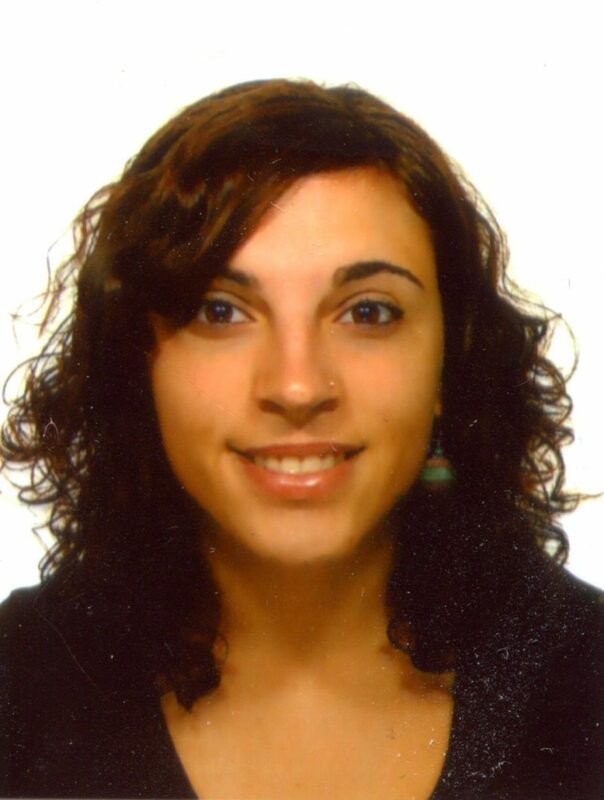 My first work experiences as an instructor and coordinator, along with the work done in different social education programs of the community of Madrid, influenced me by making me realize my passion in the field of Psychology, where I then studied at Universidad Autónoma de Madrid (UAM) I graduated on May 2013 with a specialization in educational and social psychology. The work experience required for finalizing the degree was done while working for eight months for a non-profit called Aldeas Infantiles SOS in San Lorenzo del Escorial in Madrid. While working there, I learned about my profession extensively and further solidified my initial idea of majoring in social educational psychology. Currently, I am enjoying a scholarship from The Talloires Network, that has allowed me to study abroad for six months in Chiclayo, a city in the north of Peru. I am a volunteer psychologist for a non-profit organization called Madea, in a village called Salture in the city of Chiclayo. This is an experience that is teaching me great personal and professional lessons that have changed my perspectives on many different things. Next December, I will be returning to Madrid, where I hope to share my experience with other people, and apply the what I have learned from this experience in future projects. I completed a dual bachelors in Law and Political Science and Administration, from Universidad Autónoma de Madrid (UAM), thanks to a program called CEAL of Bank Santander I was able to study a semester in Universidad Nacional Autónoma de México (UNAM). I have studied a variety of different courses over the summer relating to Africa from socio-ecological alternatives, and the cccess to information as an element of change, amongst others. Thanks to the Talloirse Network I am currently stationed in a center called GRACE (Gender and Reproductive Health & Rights Resource Center) belonging to Ahfad University for Women in Sudan, collaborating on research focused on female genital mutilation. A procedure widely practiced by a large portion of the population in Sudan. The purpose of the study is to analyze all the actions taken in order to eradicate this tradition, with the goal of creating an effective and appropriate strategy that can be used. I am from Spain and currently I am working as an international volunteer in Johannesburg, South Africa. I have born in Madrid 23 years ago. When I passed my matriculation exam I decided to start studying Journalism and Law. At the same time, I started to work as a volunteer in Red Cross in a project for children in risk of social exclusion. In that point I realized that I really wanted was to teach and work with vulnerable collectives. For this reason, I left that degree and I started my qualification for being a teacher. I just finished my degree for Primary Education with a majority in special needs ad inclusive education some months ago. Also I have collaborated as a volunteer in other project with young people with mental disability as a labour mediator. Nowadays, I live in Johannesburg due to my incorporation in this network, but some month ago I lived in Helsinki, because I decided to take over there my last training as a teacher. Also, I lived in London for some months in 2010. Currently, I am trying to combine my qualification as a teacher with other field in international development and cooperation. That is what I like to do. I cannot change the word, but what I can do is to give the best of myself and try to make the world a better place for everyone. 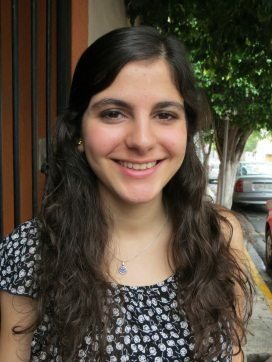 My name is Mariana Garza and I’m from Monterrey, Nuevo Leon, Mexico.I am currently studying Industrial and Systems Engineering at Instituto Tecnológico Monterrey. Although I am still exploring my future plans, I know I see my life revolving around social development projects. The opportunity to do volunteer work in another country has been very rewarding, and I am learning a lot. I feel very responsible and committed to my work for the social development of Mexico. In my free time, I enjoy photography, music and theater. My name is Arely León Sánchez, I am from Xalapa, Veracruz México, a city full of flowers and cultural activity, which is why they call it Xalapa, city of flowers. Since I was a little girl, my parents told me stories and tales, motivating me to speak, because I was very shy and did not like speaking to people. They say I was a selective mute, others said that it was a light form of autism, because I was always quiet but I was always observing everything. I remember that I enjoyed observing anthills, and see how they would go from one side to another. I think that I still enjoy that activity to this day. I like observing black marks on a dancing on a sheet of paper, however by combining them they move and dance in my head, playing with my imagination. I love to read the exposure I had with books in my childhood helped me talk until one day, at the age of 9, I was able to participate in a children’s radio program called “Cantandolees” speaking of the stories I had read and motivating other children to read them as well. In the first years, I was fascinated with learning Greek and Latin grammar, semiotics, etc., however, about half way through, I felt like my motivation was dwindling and I would ask myself, “what am I doing here?” especially because the atmosphere in my school bored me. I could no longer stand the pointless discussions of “what came first? The chicken or the egg?” Also, the majority of my classmates thought of themselves as intellectuals for being able to cite Virgil, Rulfo or Borges. Something inside of me cried out and told me that literature must me more than this and should go beyond the elite. Motivated by that inner cry, I arrived at El Conejo, a rural community located in the outskirts of Cofre de Perote in the center of the State of Veracruz, where the people there are devoted to the cultivation of potatoes, and the brick industry while others choose to emigrate to cities looking for better opportunities. In this magical place, I fell in love again with my field of study and above all that shy and indifferent girl, lost her fear of communication and sang stories to the community. I, no longer had that doubt and I was convinced of the importance of art and the power of words, so that together with grandparents, parents and children of the community along with my art history teacher, José Alejandro Vigil, we created two murals that reflect the recovery of the oral tradition, the rituals of planting and the dreams and aspirations of the community. We then assembled the library called “Pablo Neruda” a place not only for used for information but also as a wonderful place of resources, where you can put together your own story with recycled material. These efforts got much attention in the National Council for Culture and the Arts (CONACULTA) where they granted us with an Honorable Mention in the Mexico National Award Lee in 2011. 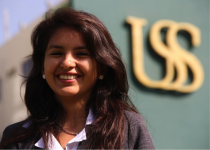 Later in 2012, Universidad Veracruzana felt that our project was worthy of the Outstanding Student Project within the UV MacJannet Prize nomination for Global Citizenship, where UV won first place. It’s been a long ride that has not been easy, but thanks to that ride, I am currently in Puerto Rico. Where I am working as a volunteer at the Museum of Art, a place where I am learning more about education, art and culture. A place that has helped me realize that I am not crazy, and that there are others like me, that read, tell stories, and paint because when you imagine you create other worlds, making it possible to transform the world in which we live in. My name is Ricardo Alberto Jaime Uceda. I am 22 years old and was born in Chiclayo a city in the north of Peru. I love to give whatever I can, I like to write, take photos and draw caricatures. Instead of writing a paper about my life, I would like to describe aspects of what made me participate in this exchange. I am in my last year studying psychology in the Center of University Volunteers USS that I have been a part of for the last three years, where I found the middle ground between my desire and the community, between my enthusiasm and action. I started as as as a volunteer and now as a volunteer, responsible for actively participating in the contruction of the road to change, for a more just place. On this path, I found in this exchange the best forum to share and learn. Finally, my name is Ricardo and I have have many ideas that I want to solidify, I renew my enthusiasm and connect everyday with my purpose to give it all to make this world a better place for all, where we coexist with equality, harmony and love. 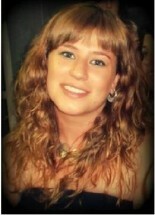 My name is Pamela Raffaela Loma Pérez, I was born on August 24, 1991 in the city of Cusco. 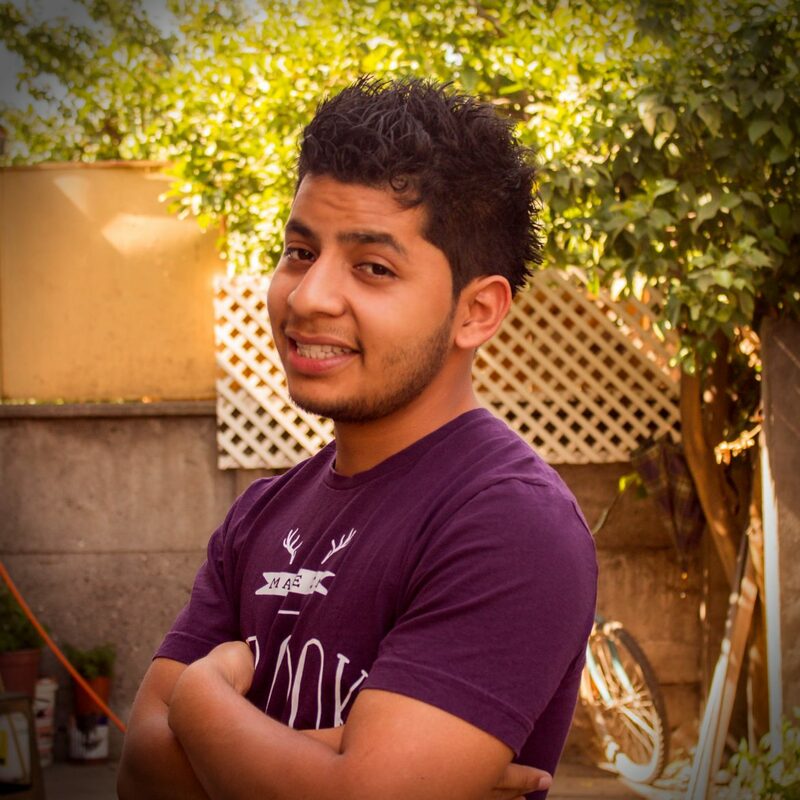 I am 22 years old and live in the city of Chiclayo, Lambayeque with my parents and my sister. In the course of my high school studies, I showed interest in psychology. I like the contact with people, the power of interrelations and interacting with those around me is one of the things that I love. I like being able to listen to people, which is what inclined me to major in psychology. 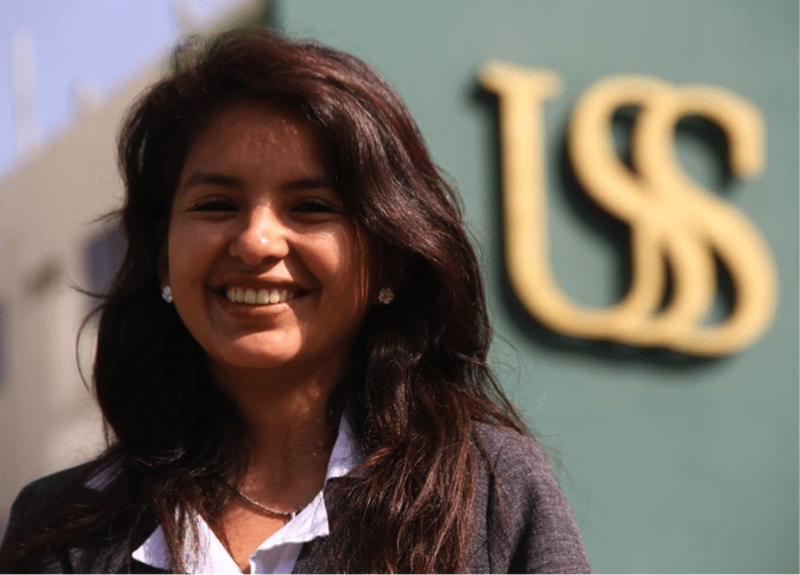 I study in the Señor de Sipán University in Chiclayo, in the field of psychology in the tenth academic cycle, already at the door of culminating my university career. Throughout these five years, I was able to know more about this field, in such a way that I was able to be even more passioante and feel satistifed that I had made a good choice when choosing the profession that I want to pursue and what I wanted to dedicate myself to for the rest of my life. This experience of almost six months has taught me many things, I know that when returning home they will be of great help for my personal and professional development.